The thematic tours are opportunities to extend the exciting experience of the exhibition to the reality in which it is hosted, to get to know Venice through the eyes of Stories of Children. Check out the event calendars or call us to book your personal visit! The activity is curated and conducted by Artsystem. Screenings will be held at the exhibition site at the Children’s Provincial Institute of Santa Maria della Pietà. Stories of Children takes you on a discovery of Places of Mercy in Venice. Amongst the calli and campielli in search of places, images and works that symbolise refuge in the city. 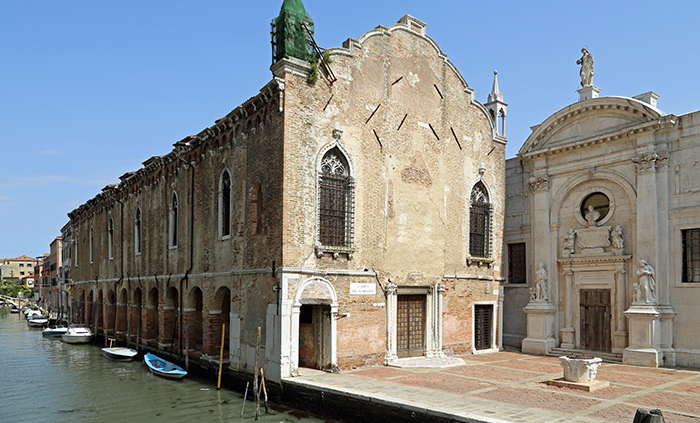 This thematic tour will lead you to see a number of sites, monuments and objet d’art that bear witness to the works of charity carried out over the centuries in Venice by many institutions and people to assist children, the poor, the sick… all those in need. The starting point will be the Stories of Children exhibition – 12 stories, 12 characters, 210 original drawings by Letizia Galli at the Children’s Provincial Institute of Santa Maria della Pietà. From here, shall come the “nizioleti” that name the streets, bridges and squares so as to orient ourselves on this exciting, artistic and spiritual itinerary. A unique path on the discovery of Venice and its many beauties. Route: from Riva degli Schiavoni towards San Marco, the Rialto, then in the direction of the Accademia, Zattere and San Tomà. The last stop will be the Scuola Grande della Misericordia. Commencing with the apprenticeship of the young Michelangelo and Leonardo, resulting in the emergence of two absolute geniuses. Are the Venetian artisans also artists themselves? The Stories of Children exhibition takes you back in time to learn about the lives of two great artists, Michelangelo and Leonardo, as told by the artist Letizia Galli. From the apprenticeship of the two absolute geniuses in Italian art, the narration will lead you to an encounter with a Venetian artisan, his skilled hands and his useful and simultaneously beautiful works. 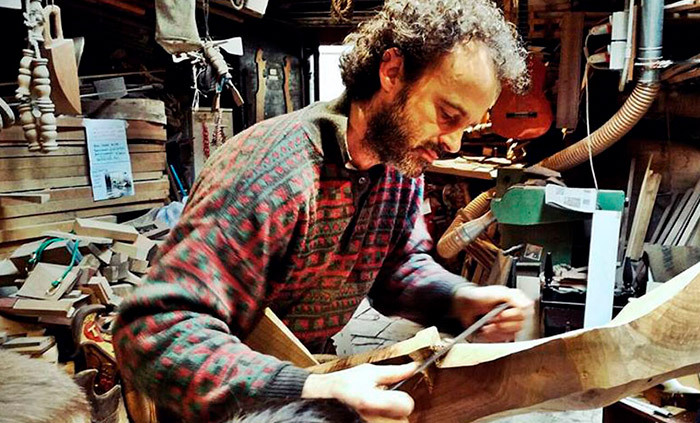 In particular, it will be an experience replete with colours, perfumes and expressions in the workshop of the oarmaker, the producer of the Fórcole – a typical Venetian rowlock – and other objects carved in wood, with harmonious and indispensable forms for guiding Venetian boats. A visit that leads to the discovery of characters and secrets that render the lagoon city so unique and which will reflect on the differences and similarities between artisans and artists. The activities must be booked at least 48h before the chosen date. The personal data acquired through this website will be subject to processing based on the principles of fairness, transparency and protection of privacy, respecting and in compliance with Legislative Decree no. 196 of 30th June 2003. Sending a message through this form will be considered as acceptance of that stated above.